Stan Hywet Hall & Gardens is the former estate of Franklin “F.A.” Seiberling and his family, who lived here from 1915 to 1955. 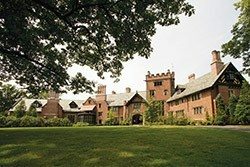 Now a historic museum and gardens, Stan Hywet is the sixth largest home in the country open to the public. In 1898, F.A. and his brother Charles co-founded The Goodyear Tire & Rubber Company. By 1916, Goodyear had become the world’s largest tire manufacturer with offices, production facilities, and rubber plantations all over the globe. The success transformed Akron, Ohio into “the rubber capital of the world.” The Seiberlings decided to build a country estate to provide a gracious environment for their large family and many guests, and to have a place that would serve as a retreat from Mr. Seiberling’s business endeavors. Today, we can all enjoy it as the hub of the tours, dinners, and special programs that are part of the Concours d’Elegance on September 21. The Concours d’Elegance features 160 rare, invitation-only automobiles from throughout the U.S., including great American and European motorcars of the 1920s and 1930s. The weekend’s guest line-up includes Wayne Carini of Chasing Classic Cars; collector Ralph Marano; Moray Callum, Design Director of the Ford Motor Company; and Leigh and Leslie Keno of Antiques Road Show. 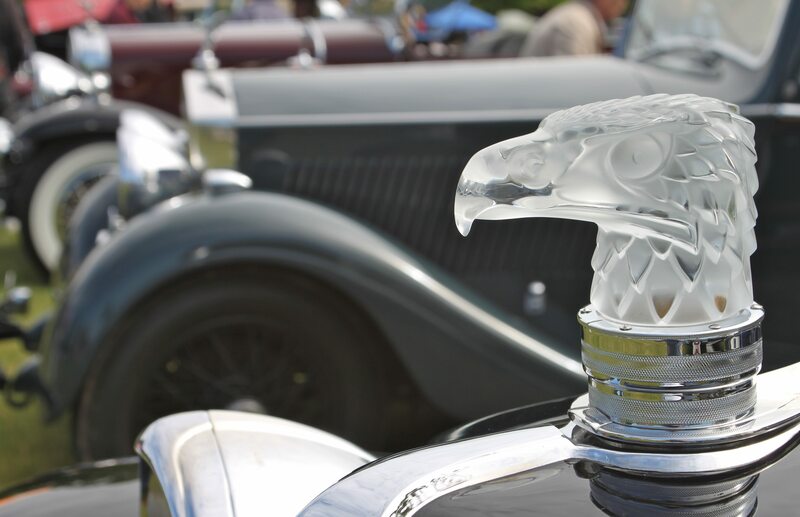 Visit www.concours.stanhywet.org for the full details. Hope to see you in Akron on September 21!